After mentioning in my recent beauty wishlist post (click here to view that) I mentioned how I’m lusting over the Real Techniques Miracle Complexion Sponge so much so I decided to finally buy it. I have loved the RT brushes for a flawless application and with the sponge promising the same results I was eager to give it a go! I gave up using sponges beforehand because they absorbed more product than I ended up using on my face but they were cheap ones and with the beauty blenders and alike taking the beauty industry by storm I had to get one from my fav gals from Pixiwoo; Sam and Nic Chapman. First Impressions: I couldn’t help but be blinded by how much I loved the RT brushes I have in my collection that my hopes were high for this little thing. It was smaller than I had expected and really reminded me of the original beauty blenders that retail for three times the amount of the RT sponge. As soon as I bought this bad boy, I whacked a photo on Instagram (see here) and with 75 of you guys hitting the fave button and the amount of comments I got saying it was the best product out there I couldn’t wait to use it. 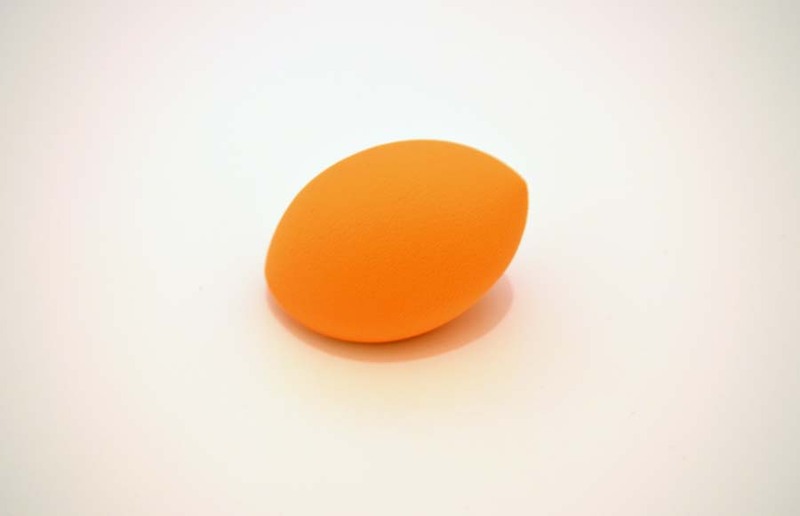 The beauty blender has only the pointed edged sponge however the RT sponge has this as well as a flat-edge that’ll help products blend and create that ‘flawless’ finish we all desire. Also I actually love the colour – such a lovely, bright orange. It looked great and for only £5.99 at Superdrug it certainly didn’t break the bank, plus Student Discount is always a winner! Using the Product: It was pretty self explanatory using this product, like any sponge applicator, you use it to blend any type of foundation/powder/cream concealer to get an airbrushed look. I am always sceptical when an applicator states it helps to create a flawless finish because I associate that with make-up professionals but this really made my foundation look really even and well blended in much less time than it does using my brushes. In fact I didn’t have to reach for my brushes once and loved the smooth finish this gave. It can also be used wet or dry, I mainly used it dry for my foundation and powder but getting it slightly damp and blending in my concealer and that worked so well – just experiment! The flat edge I use to distribute my liquid foundation and it doesn’t absorb much of the product at all, it sometimes sticks to dry patches but working with that area then lifts it off and hides dry skin. 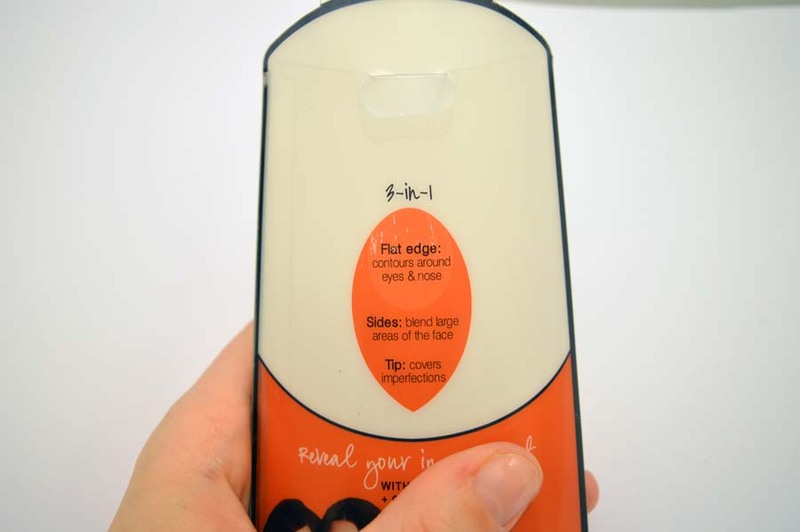 The pointed edge was great at getting under my eyes to hide my dark circles and meant I didn’t have to use my fingers at all; I really like it! It also helps to contour like a dream and makes it look so natural. I hope this lasts as some reviews claim they have only had it for 2/3 months but at under £6 I wouldn’t begrudge buying one new. Once again Real Techniques you’ve delivered a great result and I won’t be straying from your wonderful collection any time soon. Cleaning the Sponge: some state that using the same technique as cleaning your make-up brushes lifts the products but in my experience not all the product came off and it still looked dirty (this causes bacteria to build up and certainly something I didn’t want) but with good old fashioned bar soap and warm water the sponge was as good as new, all product was out of it, then I left to dry. Simple. Always keep squeezing the sponge to disperse all absorbed product but this was much easier to clean than expected. Again, so impressed RT – keep it up! 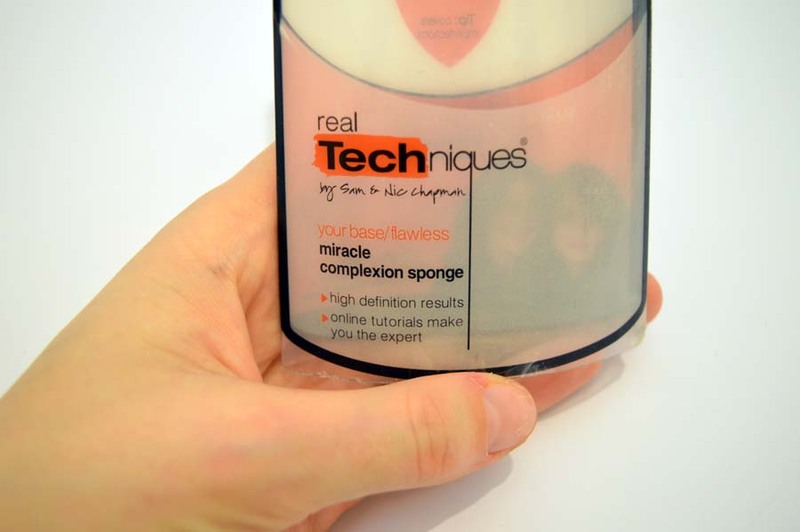 Have you ever tried the Real Techniques miracle complexion sponge? What did you think of it?